Lock in a great price for Guest house Ruza – rated 9.1 by recent guests! Apartment is very nice and clean, owners so polite and helpful. 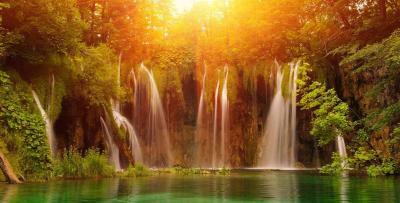 The nature in the area is so beautiful, Plitvice lakes are fantastic, hope we''ll come again! A very homely comfortable room with cute furniture. Nice hot shower and spacious bathroom. Bed was very comfortable. Our host was very helpful in giving recommendations for nearby restaurants. Bonus washing machine available for use by guests was very helpful for us to catch up on laundry despite only staying one night. The lady welcomed us very warmly and help with finding a good restaurant; she was very considerate and made us feel 'at home'. We were very happy with our stay and would recommend the guest house. 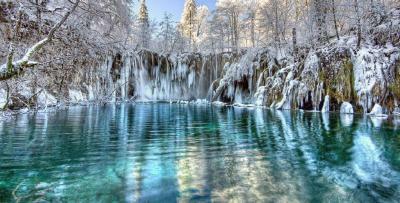 We stayed for two nights as part of our trip to Plitvice Lakes. House is easy accessible by car, not far from main road close to supermarket. Host was very kind and helpful, room was clean with nice bathroom, cozy bed and with access to great balcony to enjoy surrounding nature. Definitely recommended accommodation. Clean and big room. Perfect location. Lovely owners. I wish we could stay more than one day. Hostess tryed to please. Outside porch for eating and fridge and kettle available. Die Hausherrin war sichtlich bemüht, allerdings war eine Verständigung mit ihr kaum möglich. Camera accogliente e pulita in stile rustico, bagno ad uso esclusivo all'esterno. 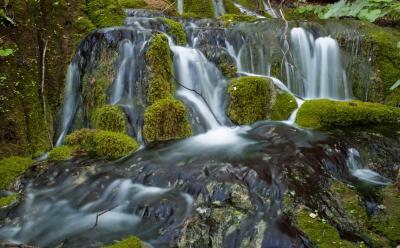 La proprietaria è una persona disponibile e molto gentile, ottima soluzione per esplorare il Parco Nazionale dei laghi di Plitvice che si trova ad un quarto d'ora di automobile. A gyönyörű kilátás, a csend, tisztaság, kedves háziasszony, parkolás az udvarban....A Pliticei tavak megtekintése után lezuhanyozhatunk külön fürdőszobában, kipihenhetjük magunkat. Reggel indulhatunk tovább az Adria felé. Bardzo miła właścicielka, łatwo było się porozumieć mimo bariery językowej. Czysto w pokoju i łazience. Dużym udogodnieniem była lodówka w pokoju. Dobre miejsce jako baza wypadowa nad Jeziora Plitwickie. Wifi działało w porządku. Rozsądna cena za pokój (co w tym momencie trudno powiedzieć o cenach w Chorwacji). Guest house Ruza This rating is a reflection of how the property compares to the industry standard when it comes to price, facilities and services available. It's based on a self-evaluation by the property. Use this rating to help choose your stay! One of our best sellers in Korenica! Set 9.3 mi from the entrance to the UNESCO-listed Plitvice Lakes National Park, Guest house Ruza offers rooms with free Wi-Fi. 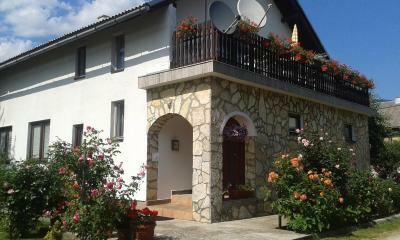 It is located 650 feet from the center of Korenica. All rooms provide seating area and cable TV. Featuring a shower, private bathrooms also come with a hairdryer and towels. A garden with barbecue facilities is at guests' disposal. Some restaurants and a grocery store can be found within 1,000 feet from the property. Hiking and biking trails start 1,650 feet away. 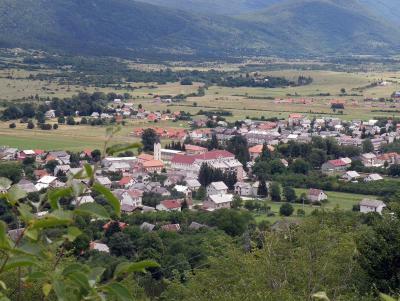 Mrsinj Mountain is 0.6 mi from the property and Plješivica Mountain is at a distance of 3.1 mi. Local bus stops 650 feet from the Guest house Ruza. The property offers free parking. When would you like to stay at Guest house Ruza? This double room features a wardrobe and a bathroom with shower and hairdryer. House Rules Guest house Ruza takes special requests – add in the next step! There was no air conditioning, so we were iInitially cautious to open window as no fly screen present, but we didn't have any issues with mosquitos at all! All good, good parking and very nice personal.